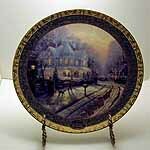 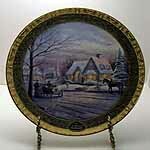 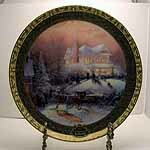 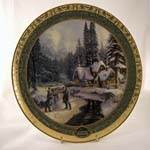 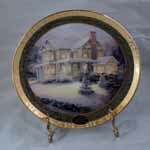 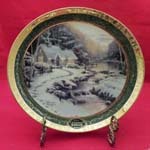 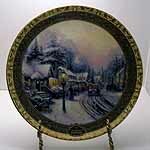 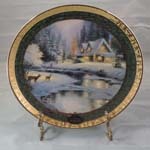 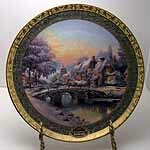 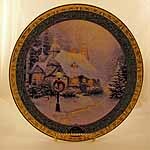 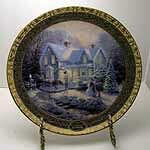 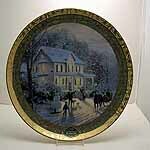 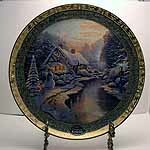 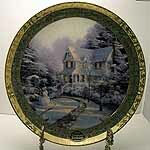 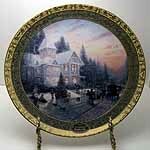 Thomas Kinkade's Cherished Christmas Memories collector plate series is an annual limited edition collection that began in 1999 and continues today. 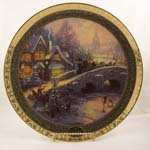 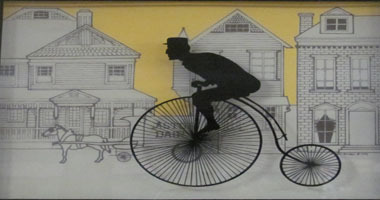 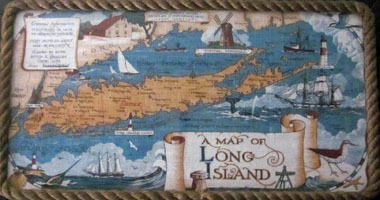 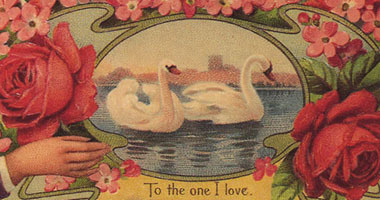 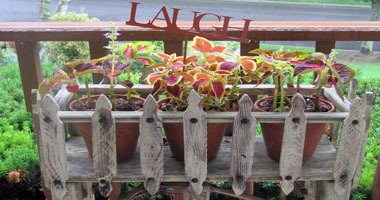 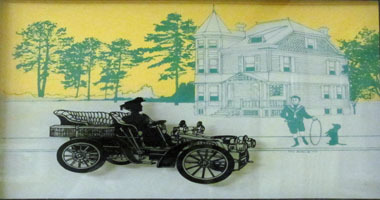 Each plate is 9 1/4" wide and comes in a decorative box. 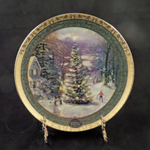 This is a highly prized series that creates a beautiful Christmas display.